The Netherlands entertain Germany on Sunday night, hoping to maintain their 100% start to Euro 2020 qualification. The Flying Dutchmen began their campaign well, hammering Belarus 4-0, and will want to build on that victory to gain a foothold in Group C – a win will leave them six points ahead of their opponents. The group also includes Northern Ireland, Estonia and Belarus but the head to heads between these two should decide who finishes first and who may have to settle for a place in the play-offs. Here’s a look at how Ronald Koeman could set his side out for this important encounter. Jasper Cillessen (GK) – Despite playing second fiddle to Marc-Andre ter Stegen at Barcelona this season, Cillessen is the undisputed number one for his country. Since making his debut, the 29-year-old has kept 21 clean sheets in 47 games and will start on Sunday. 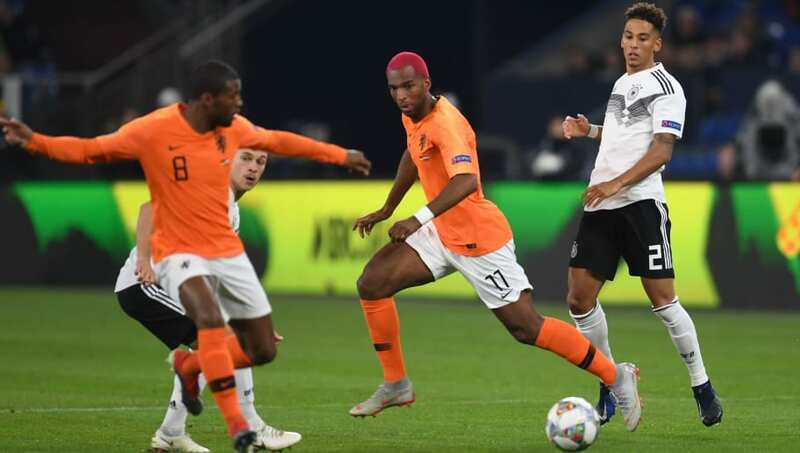 Denzel Dumfries (RB) – The 22-year-old was given his international debut by Ronald Koeman and has made four appearances since. 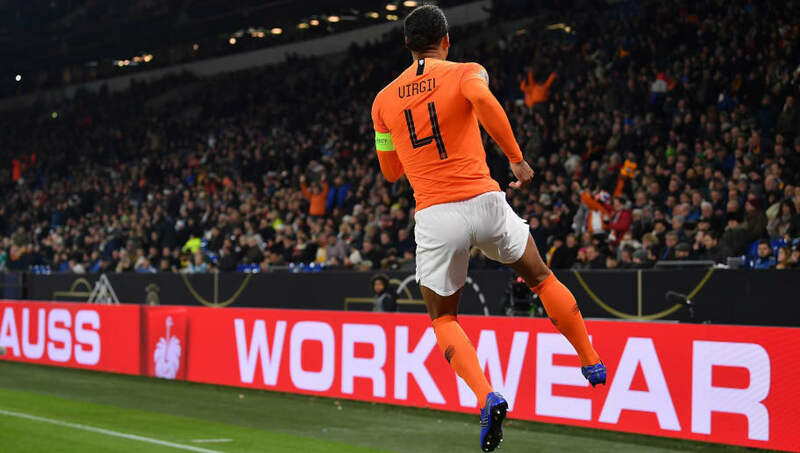 Virgil van Dijk (CB) – One of the players of the season in the Premier League, the Netherlands captain is enjoying the best campaign of his career so far. Not only a rock at the back, he’s scored three goals in his last four games for his country. Matthijs de Ligt (CB) – The Ajax skipper has been linked with a move to Europe’s biggest club after a fine season. Daley Blind (LB) – Since Leaving Manchester United to rejoin Ajax last summer, Blind has been in great form and has made the left-back position his own for club and country. Marten de Roon (CM) – A regular in the Netherlands squad, De Roon has improved since leaving Middlesbrough and is an important player for Koeman. Frenkie de Jong (CM) – The talented 21-year-old will join Barcelona in the summer and it is easy to see why they snapped him up. De Jong has only been playing for his country since September last year but performs like a ten year veteran. Georginio Wijnaldum (CM) – Since making his debut in 2011, Wijnaldum has been a mainstay for his country – scoring 11 goals and providing three assists along the way. He’s one of the driving forces in Liverpool’s push for the title this season. Quincy Promes (RW) – With his direct style of play, power and pace, Promes is a threat to most defenders, especially those as slow as Germany’s. Memphis Depay (ST) – The former Manchester United winger has reinvented himself since his departure from Old Trafford and is a talisman for his country. 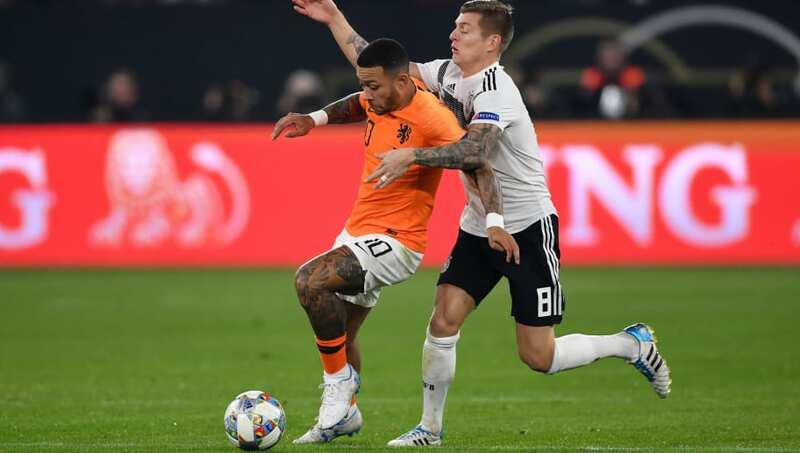 Depay has scored six goals for the Netherlands this season and hit the back of the net twice in their first qualifier against Belarus last time out. Ryan Babel (LW) – After nomadic spell, Babel settled well at Besiktas, where his form saw him become a regular in the Dutch squad again. Currently on loan at Fulham, the 32-year-old is doing his best to keep them in the division.